Here is a shot of a type that I don’t often post; this was taken during Sail 2015 in Amsterdam. It was late in the evening, and there was a beautiful half-clouded sky. Lots of boats were boating on the IJ that evening. I took this picture and raised the white balance quite a bit in postprocessing (in Lightroom) to get a more overall yellowish look. Other than that, nothing much was changed. 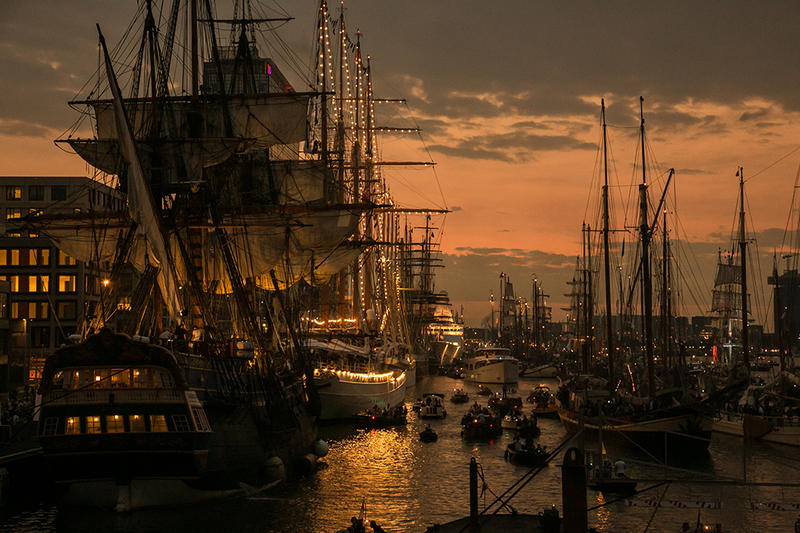 The photo was entered into a competition of Sail photos (sailinbeeld.nl) and ended up as one of the final 9 photographs. It will be on display somewhere soon for some time at Delta Lloyd.